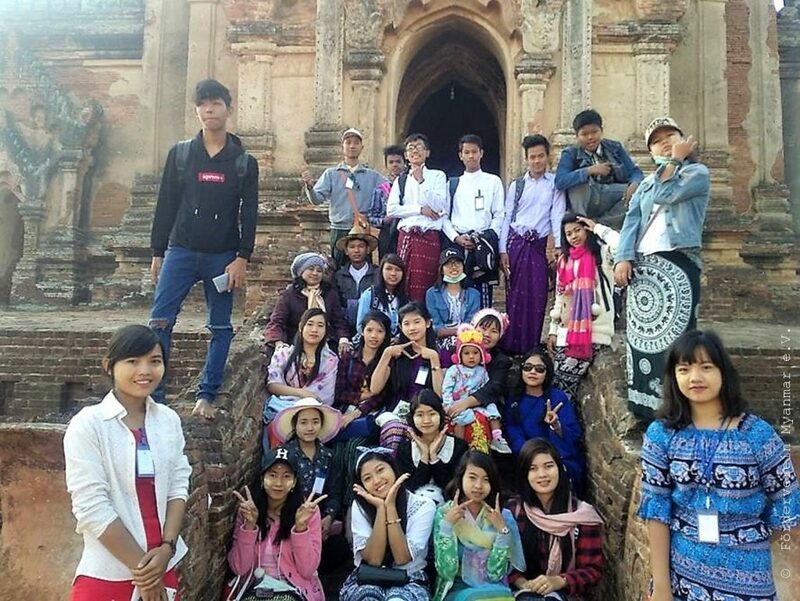 TEAMS batch -2 camp started on 21st December, 2017 in Bagan, a historical place and golden city for Myanmar citizens. The camp took only three days. We went there by night train and it took nine hours to get there. The weather is extremely cold and noisy on the train. We did a lot of activities on the train like games, presentation instead of chatting each other, sleeping and using phones. 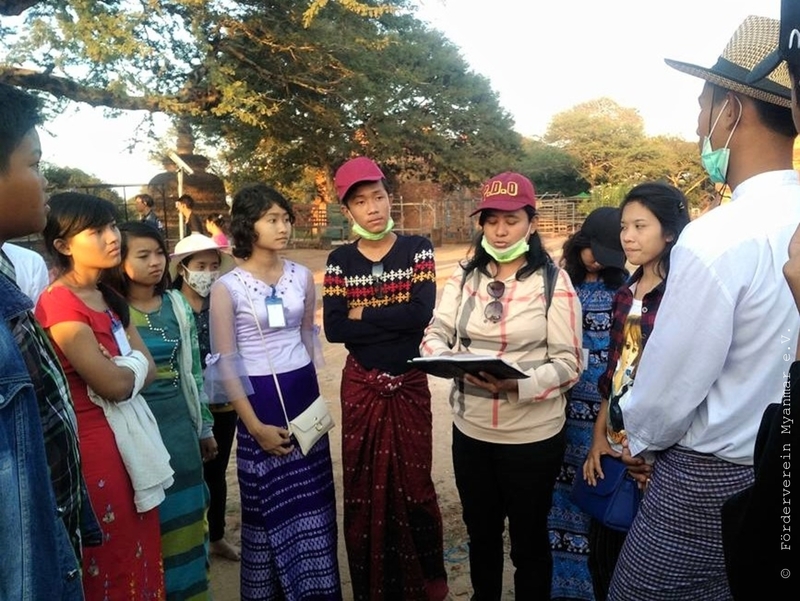 The trainees prepared a lot of information and history of famous pagodas in …Bagan on the train for tour guide activities. Camp day (1) began with picking E-bike for our voyage. We visited a lot of famous pagodas and many souvenirs and antiques shops near the pagodas compounds. 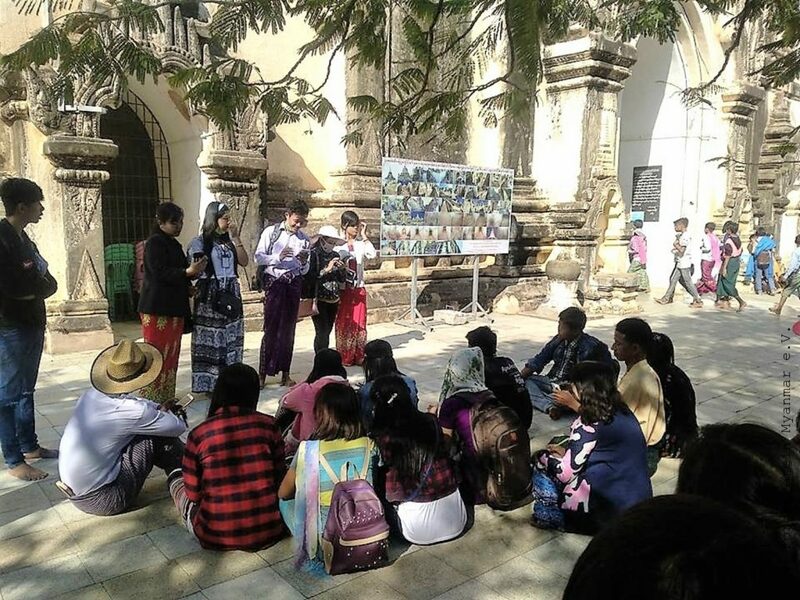 The responsible group guided and explained about the history, structures and background of some unique and famous temple and pagodas such as Shwe Zi Gon, Dhammayan gyi and Buu Phaya. For the first night, we went to Shwe Zi Gon compound and we did “River of the life” activity. We talked about ourselves more detail. Because of this activity, we got a chance to understand with each other much better than before and we shared a plenty of knowledge, experience, difficulties and needs. On second day, we visited rest of the famous pagodas that we must visit in Bagan and then we took a short trip across the Ayeyarwaddy in order to discover what the nature is. Moreover, we enjoyed the sunset at Bagan view point, the one that we should not miss for our lifetime. We celebrated the camp fire near the Shwe Zi Gon pagoda. We sang and danced many songs. We also played a lot of games and we promised each other to develop the knowledge, skills, language qualifications and confidence during TEAMS. We came back with strong friendship and big unity to provide a great community and relationships which directly effect for our confidence and leadership during TEAMS Program.